For many teens, summer learning rests at the bottom of their priority lists. But many still crave a creative outlet for self-expression. “Art lets students explore their interests in a sophisticated, challenging way, and helps them increase their creative problem-solving skills,” says Marybeth Satterlee, cofounder and program director of Coyote Central, a Seattle-based nonprofit that offers a range of innovative hands-on workshops for tweens and young teens. Arts education can be the creative compromise when parents care about year-round learning and teens just want to have fun. Keep this list of workshops and studios for when your teens are looking for something different to do this summer. Based in central Seattle, Coyote Central is all about engagement. “We’ve expanded our offerings based on what will hook kids’ interest. Our arts spread into any creative field,” says Satterlee about the Studio Coyote program. The course list includes cooking, metalworking, glassblowing, and a lot of design-and-build and technology-based classes. Coyote takes an unconventional approach to traditional arts, too, offering classes on drawing comics, fashion designs and graffiti. The weeklong classes are designed for tweens and younger teens (ages 10–15), with hands-on projects in an apprentice-like setting. Prices: While prices for weeklong workshops range from $200 on up, families shouldn’t be put off by the hefty price tag. Coyote Central has a robust scholarship program that provides reduced tuition, incremental payments or monetary scholarships, allowing all kids to be welcomed on a first come, first served basis. The Gage Academy of Art, which teaches painting, drawing and sculpture for all ages, offers one of the few year-round, drop-in arts programs in the Puget Sound area, and it’s expanding: Its free weekly drop-in art studio for teens ages 13–18 is offered at two locations: on its Capitol Hill campus every Friday evening (6:30–9:30 p.m.) and at the Bellevue Arts Museum on Fridays (4–7 p.m.). Each month, a different professional artist teaches a specific art form. “The drop-in format really works because kids are showing up when they’re ready to learn,” says Andrea Goodman, youth and community manager at the Gage Academy. Students do not need any previous experience, and sessions are not cumulative. Previous themes have included acrylics, pen-and-ink drawing and portraiture. 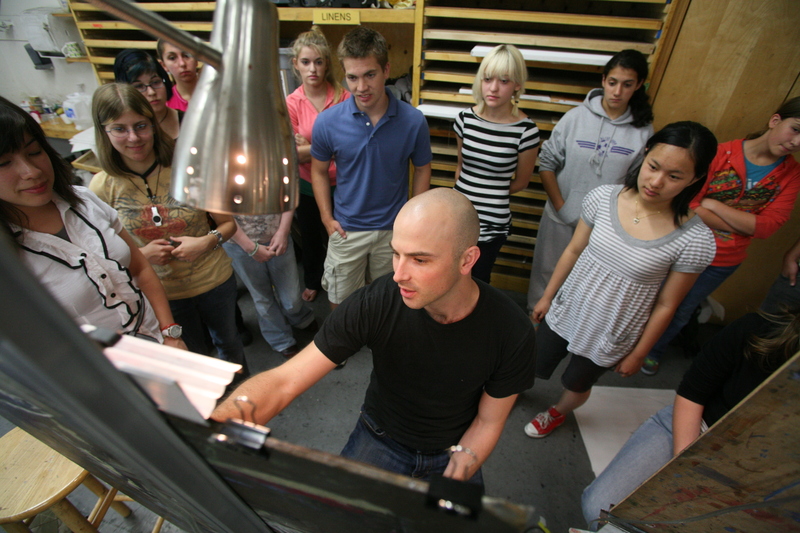 Other summer programs include two-week workshops and the five-week portfolio intensive. Prices: The drop-in teen programs are free. Prices: Most Pratt courses fall between $200 and $300. Tuition assistance is available based on student need. Teens may also apply for a Pohlman Knowles Scholarship. 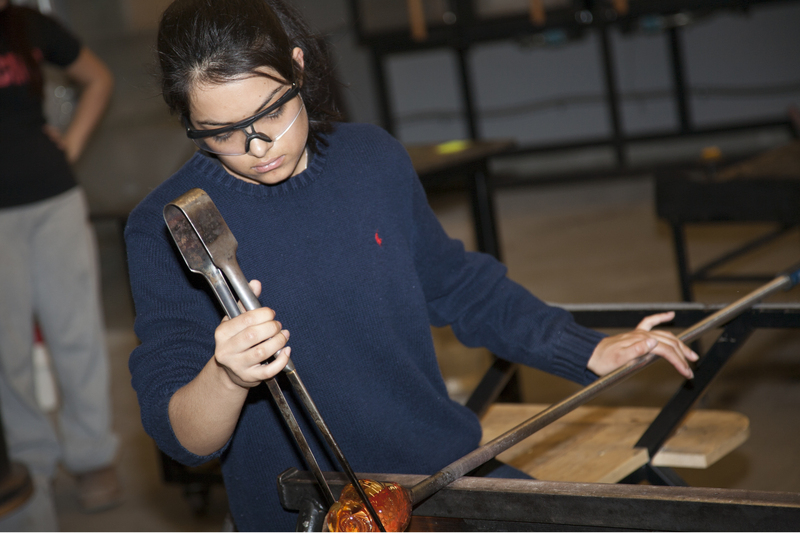 A bonus: Students who complete a skills test after completing a Pratt course can book time to work individually in one of Pratt’s five professional-quality studios for glass, jewelry/metalworking, printmaking, sculpture and wood. The Kirkland Teen Union Building, aka KTUB, is a combination resource center, recreation hall and arts venue with many opportunities for teens to create and express. During the summer, the art studio is open regularly, with access to supplies and tools on site. Open mic nights will be scheduled throughout the summer for young poets and writers who want to share their work. Check the events calendar or drop-in calendar for more events, including feeds, live music and more. Prices: All activities are free or low-cost. The Vera Project: Lights, audio, music! Long known as a pioneer in teen leadership and arts programming, this all-ages, volunteer-fueled music and arts venue housed at Seattle Center offers an eclectic mix of summer programs for kids ages 14–25, including silk screening, live audio engineering, stage lighting and DJ-ing. The Vera Project hosts live concerts and DJ nights several nights a week. Teens can also volunteer in many capacities, from running shows to helping in the recording studio to curating exhibitions. Prices: Most classes start around $30, and show prices vary. Volunteer orientations do not require registration and are usually held the second Thursday and the second Saturday of the month at 4 p.m. Teens should attend an orientation or check the website to find their own entry point into this youth arts community. With monthly open mics and weekly writing circles, Youth Speaks Seattle, the group synonymous with youth slam poetry, is both an outlet and a community for young writers. Open mics are held on the first Sunday of the month; check the website for locations of writing circles. Prices: Both open mics and writing circles are free, for all ages and very supportive. Greater Seattle Bureau of Fearless Ideas: Write on! Formerly known as 826 Seattle, this youth writing center in Seattle’s Greenwood neighborhood offers a range of fun and unusual workshops. The roster of summer classes includes a few gems for teens, including Tabletop Moviemaking and Crafting a College Admissions Essay. Prices: All workshops are free, but students are limited to one per season to serve as many youths as possible. Located in Everett, innovative Schack Art Center schedules a number of classes and programs for teens. Multiday classes at Schack include drawing, painting, glassblowing, digital photography, claymation and even basket weaving. Studio space for all ages is also available during a limited number of “Free Fridays” (free, drop in, bring your own supplies). While you're there, don't miss the exhibit of Chuck Close's art. Prices: Costs range from $55 to $350 for glassblowing, sometimes with a materials fee as well. Some scholarships are available.